Sometime we all want a little something new and fresh to come into our space but many times the budget won’t allow it. 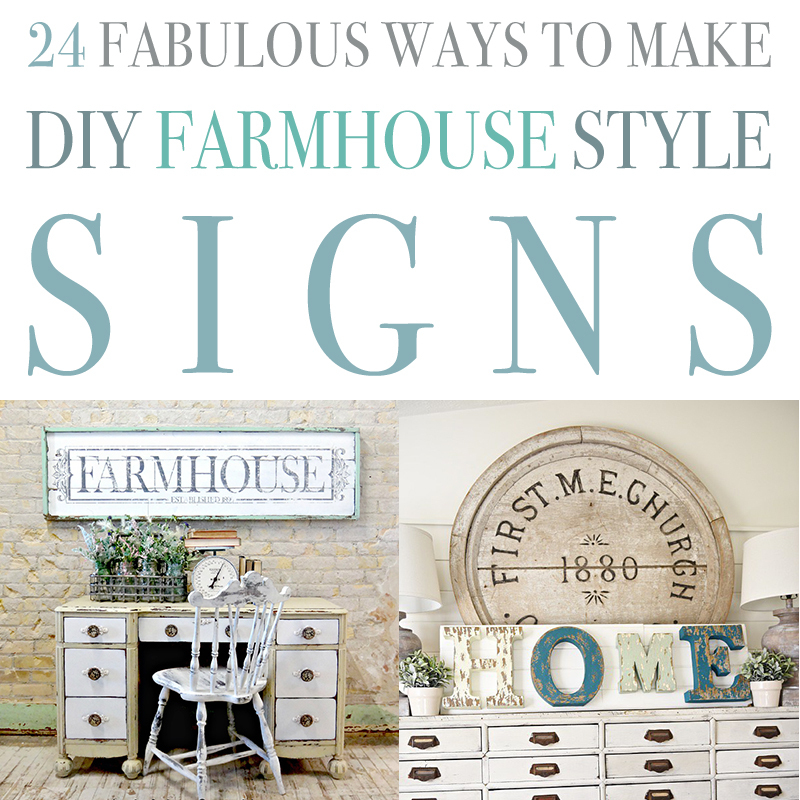 When that happens…think about creating a Fab Farmhouse Style Sign! It adds charm and character to a room in a snap! They are quick…easy and oh so budget friendly. The possibilities are absolutely endless from color…to paint treatment to stain and more! 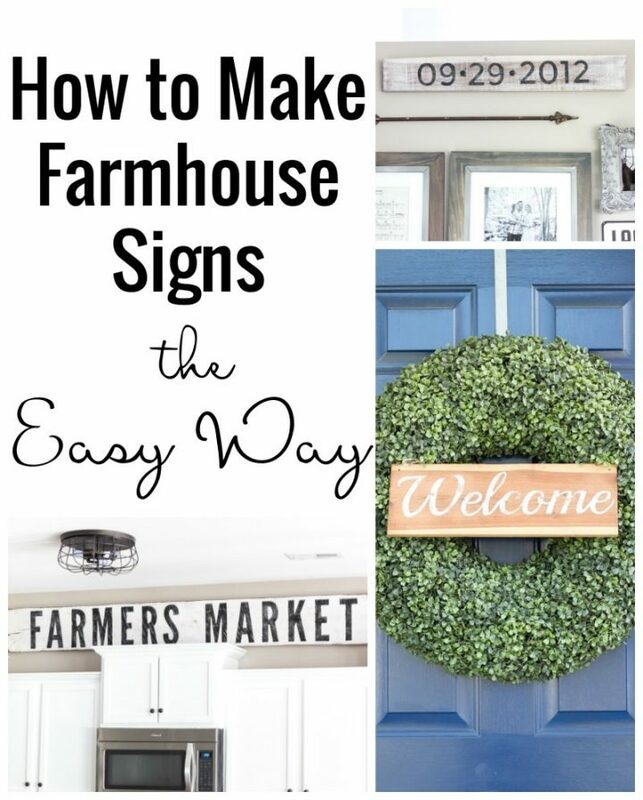 To make your search a little bit easier for a great tutorial we put together a Collection of 24 Fabulous Ways To Make DIY Farmhouse Style Signs. Let me know if you make one…would love to see it! : ) So pick up your favorite cup of brew …sit back and check out all these great options! Enjoy and be INSPIRED! 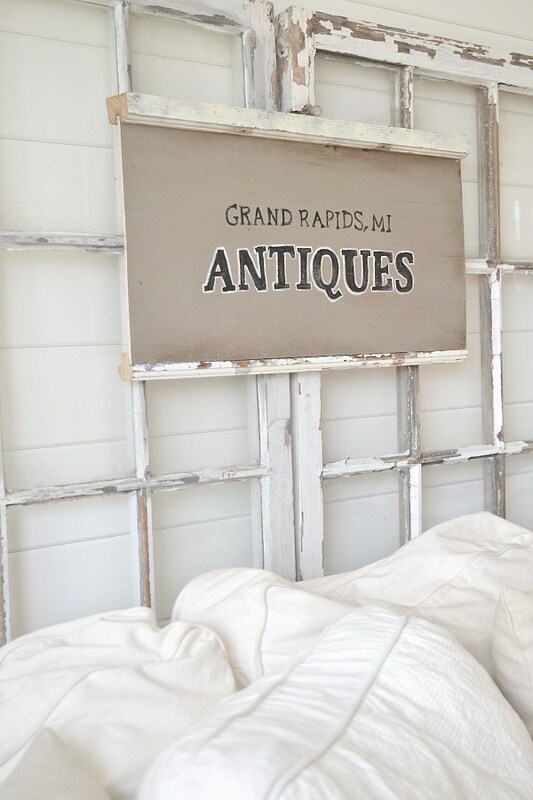 This DIY Antique Sign with Farmhouse Flair is probably the most wonderful one that I have seen. It’s amazing! Miss Mustard Seed will show you step by step how to create one of these beauties for your very own home…DON’T miss this one! 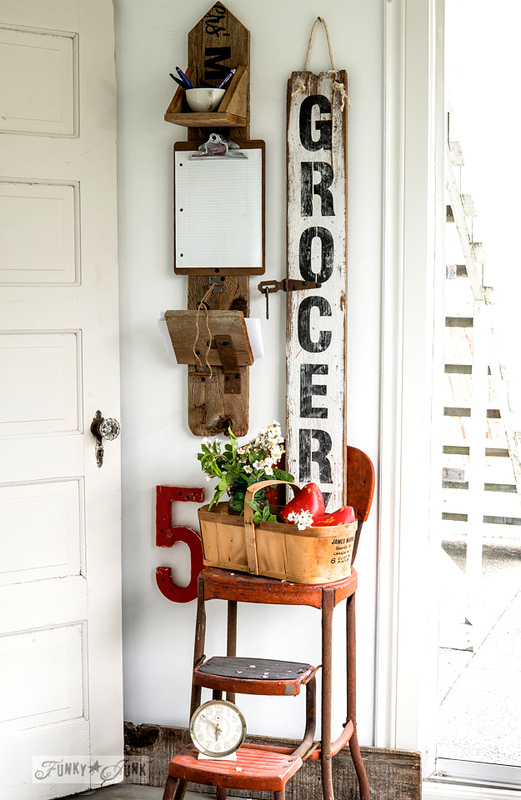 How gorgeous is this Reclaimed Wood Message Centre and Grocery Sign! I know I would love to make one of these! It’s perfect for that touch of Farmhouse Charm! Visit Donna over at Funky Junk Interiors and she will tell you how she did it! 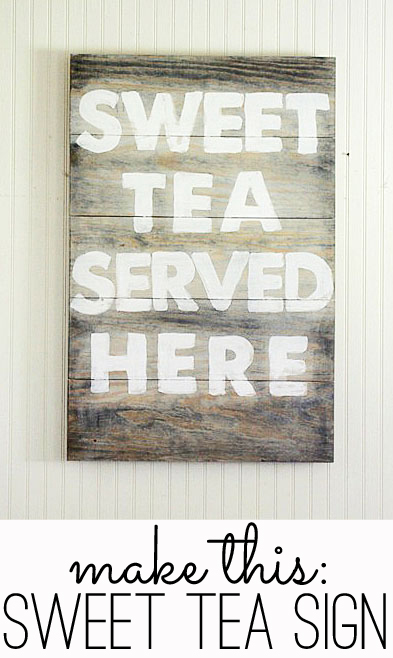 Want to add a touch of heartwarming Southern Charm to your space…well I can’ think of anything better than hanging up a fabulous Sweet Tea Served Here sign up! My friend Gina over at The Shabby Creek Cottage will show you how! I fell in love with this sign as soon as I saw it! 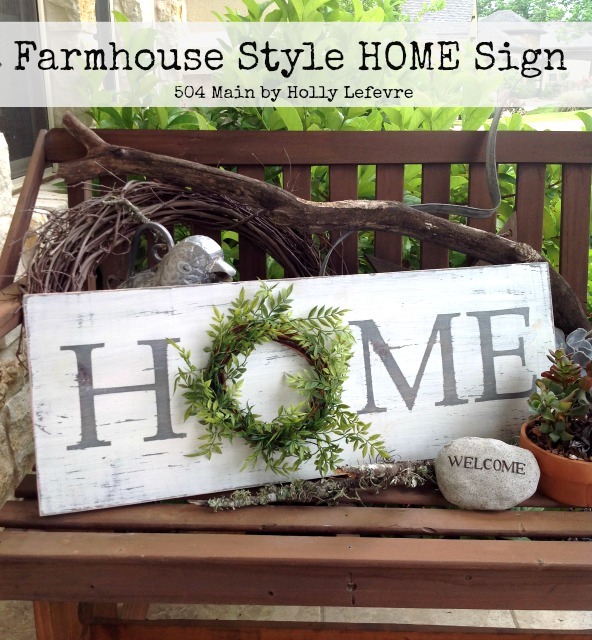 Didn’t Holly do an amazing job…I would love one of these in every room : ) If you would like to get this Rustic Farmhouse Charm look for your home…visit 504 Main and get the DIY…everyone you know is going to want you to make them one! 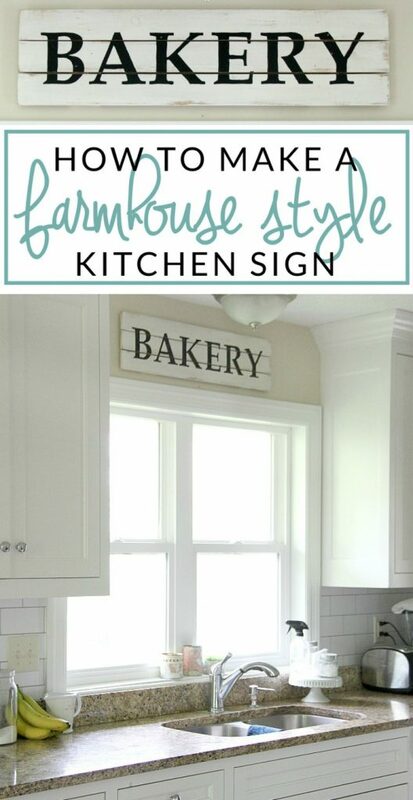 This Simple and Easy Bakery Sign is a must have for your Farmhouse Kitchen. When you visit Little Vintage Nest she will share her step-by-step tutorial with you! The perfect project for the weekend. I love a dimensional sign…don’t you! 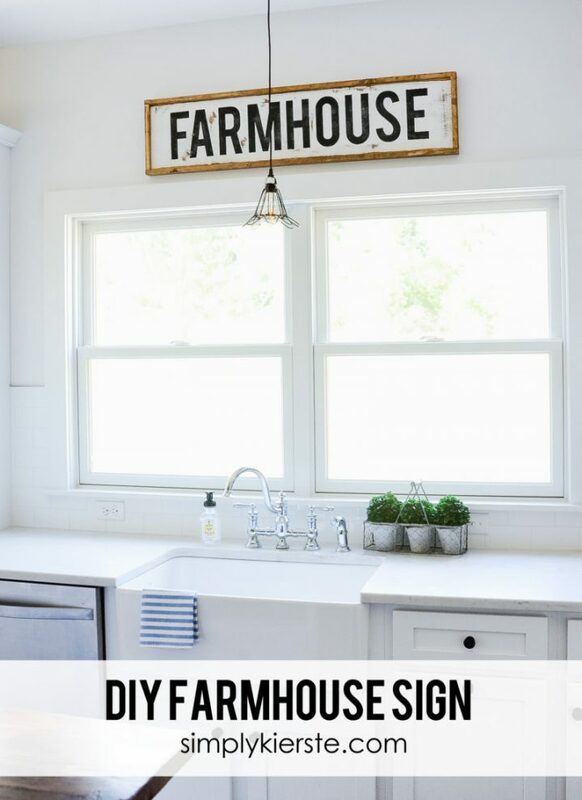 Well over at Cherished Bliss you will find a simple tutorial that will yield and AWESOME Farmhouse Sign for your Bathroom and of course you can use the technique for any sign you want to create! You are going to enjoy this one for sure…just think of all the possibilities! 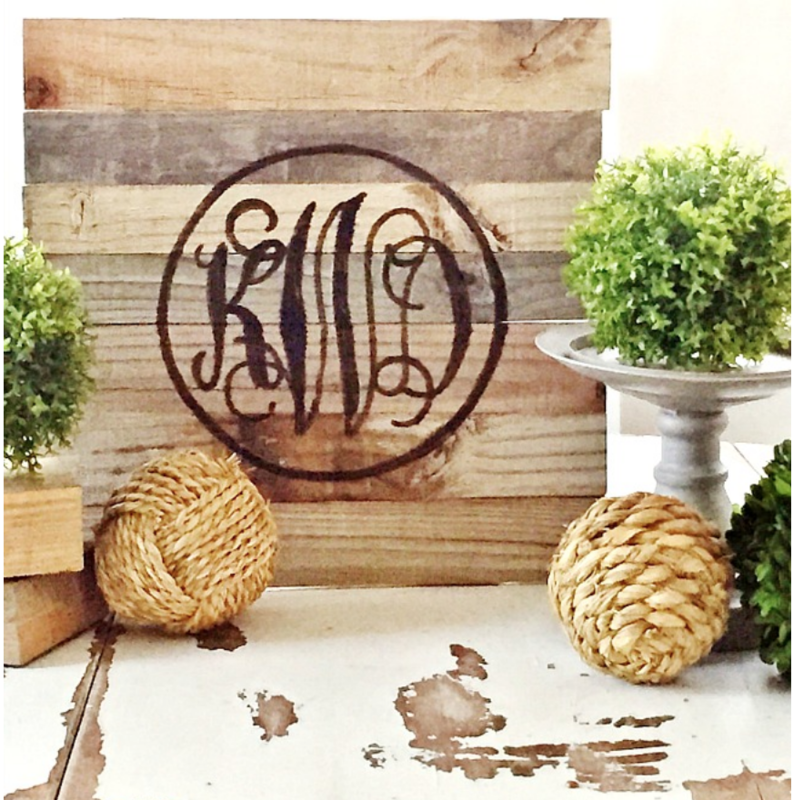 This DIY Reclaimed Wood Monogram Sign is simply fabulous and will add a ton of charm to any space it is displayed. 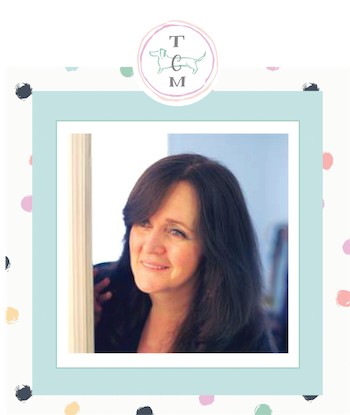 If you drop by Thistlewood Farms…KariAnne will show you the how to! Over at The Turquoise Home you will find a fabulous tutorial that will show you how to make this Large Wooden Sign. It’s fabulous. 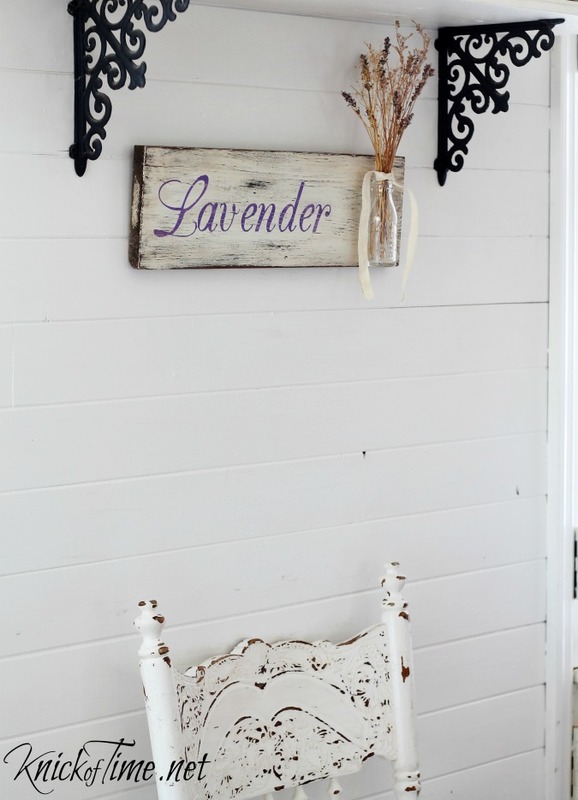 I simply adore this Sweet Lavender Wooden Sign with Vase created by Angie over at Knick Of Time. It’s Romantic…oh so Pretty and very easy to create…come on over and the the DIY! 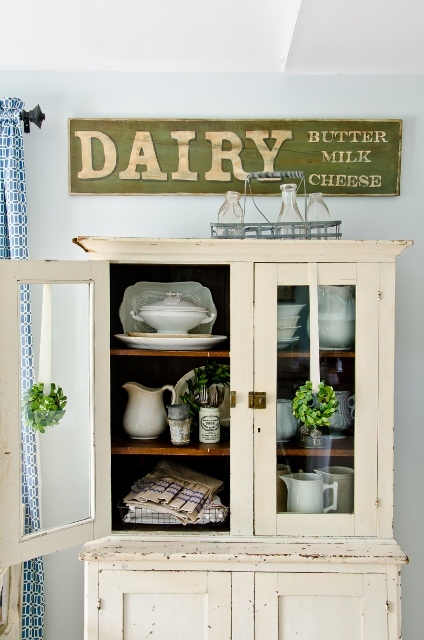 I am totally LOVING all of these Farmhouse Funky Fresh over at Liz Marie’s Place. You are going to flip over them! I think once you start making these you are not going to want to stop! 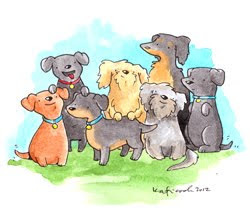 Visit and get the How To…you will be really HAPPY you did! Can you believe this beautiful weather sign started out as an IKEA Cabinet Door????? 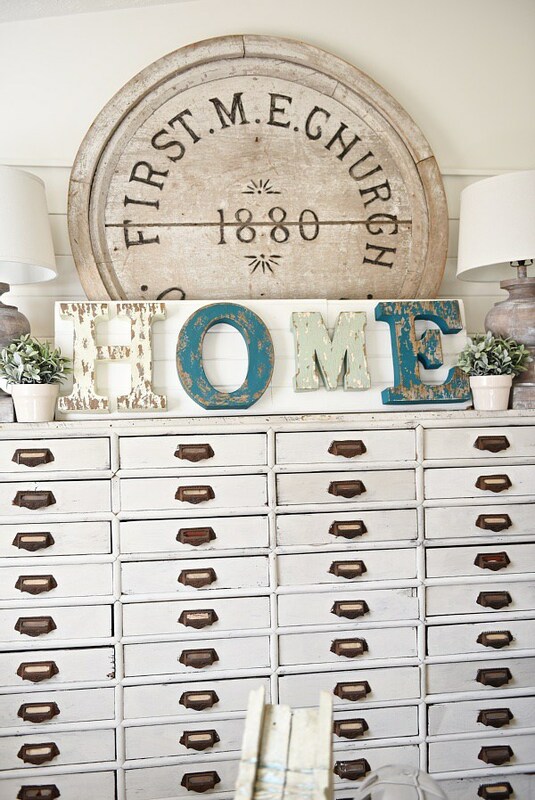 Well it did and The Kim Six Fix is going to show you how you can get the same look for your Farmhouse! 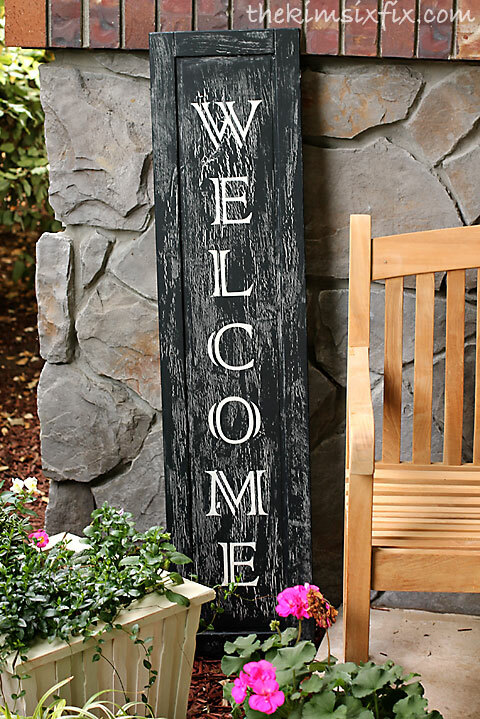 I would use this sign inside or out…just think of the possibilities! I bet you put this one on your DIY Agenda! 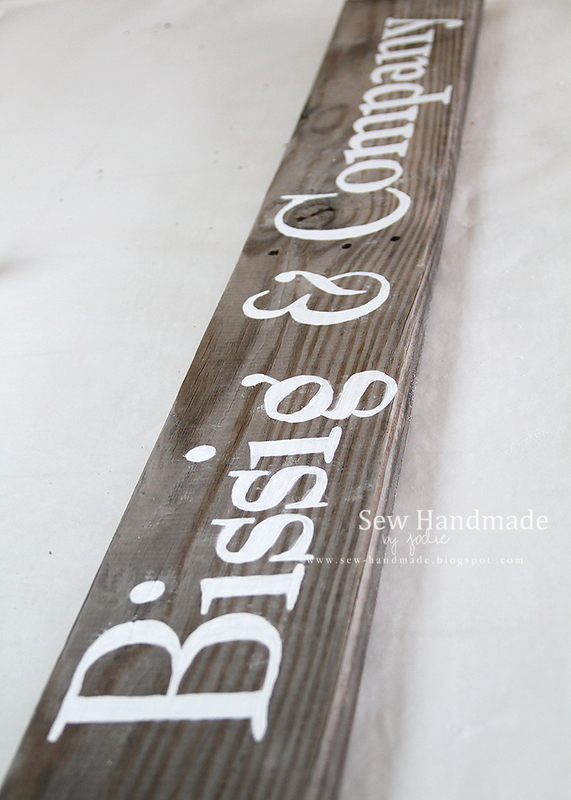 Sew Handmade by Jodie is going to show how simple it is to make a quick and easy fabulous Farmhouse Sign Using A Pallet! This is a great tutorial for any simple sign or any style. Bookmark it..I know you will refer to it often! Kassandra from Little Dekonings is going to walk us through a DIY for a Beautiful Galvanized Market Sign with a Weathered Wood Technique. 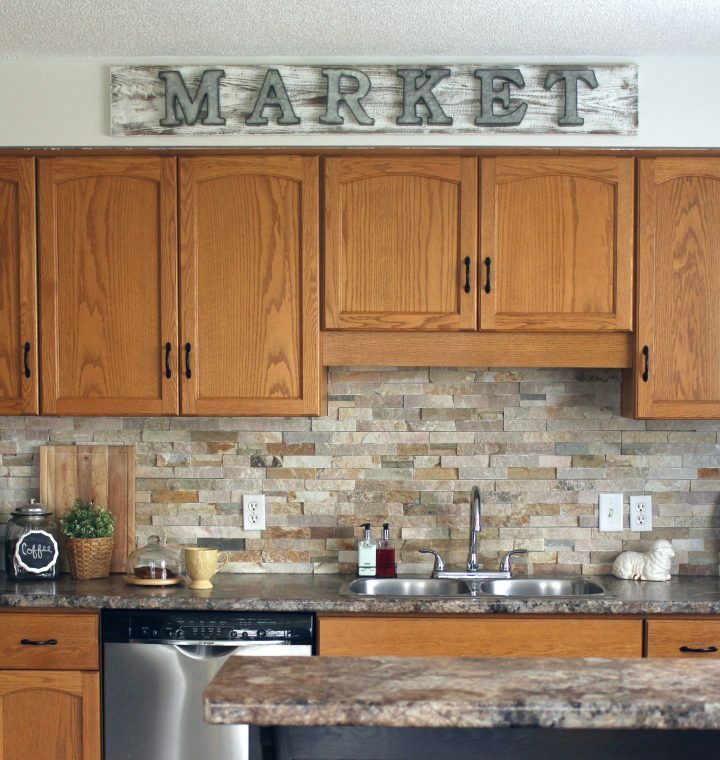 The Weathered Wood Technique is something you will use for other projects too…it’s that nice! ENJOY and then of course CREATE!!! 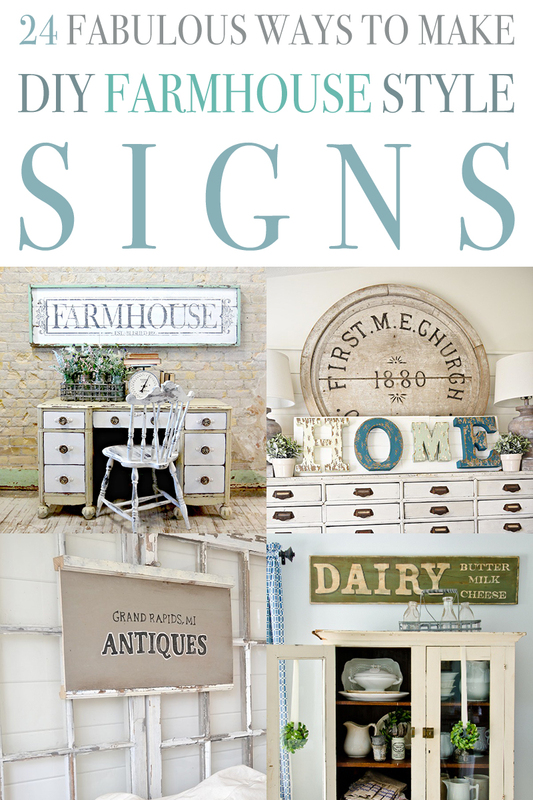 This simply Antiques Sign is so adorable and adds instant charm wherever it is placed. Come and check out Liz Marie’s little tutorial and hang one up today! 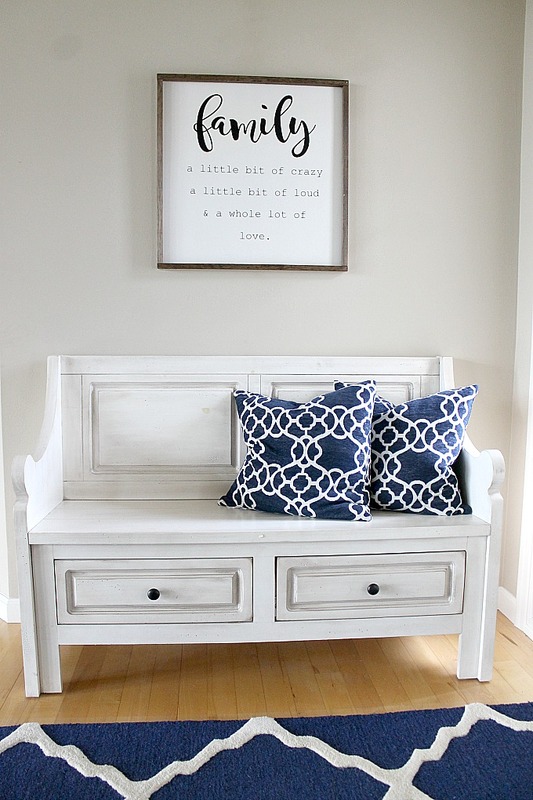 Occasionally Crafty is sharing the how to for this Family Farmhouse Sign! Everyone needs one! Gina over at The Shabby Creek Cottage is going to show you how to make this Gorgeous Sign and tons of details on sign making!!! 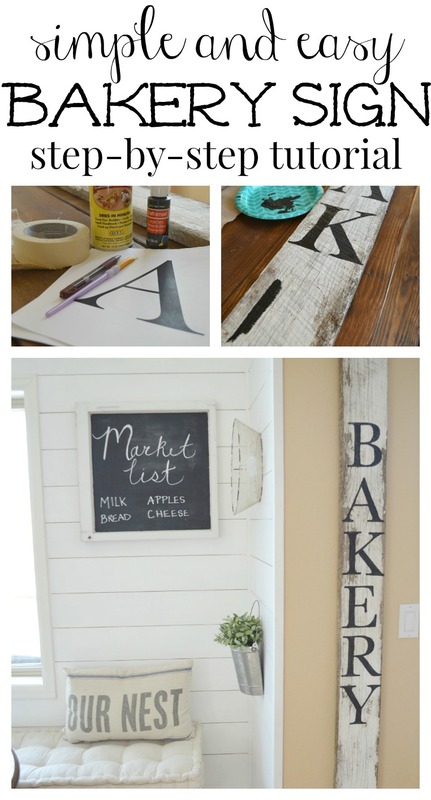 Come on over to Remodelaholic and she will show you How To Make Farmhouse Signs The Easy Way! 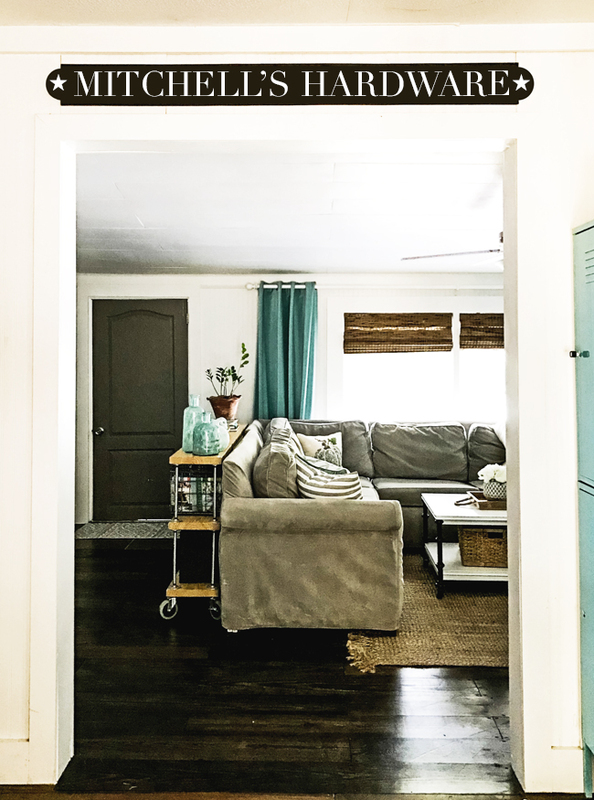 I absolutely love this Classic DIY Framed Wood Farmhouse Sign and Simply Kierste is going to show you how quick and easy it is to make! What a great DIY with tons of design impact. Every Farmhouse Kitchen would love this Fabulous Bakery Farmhouse Sign created by The Crazy Craft Lady! Come and see how it was created! 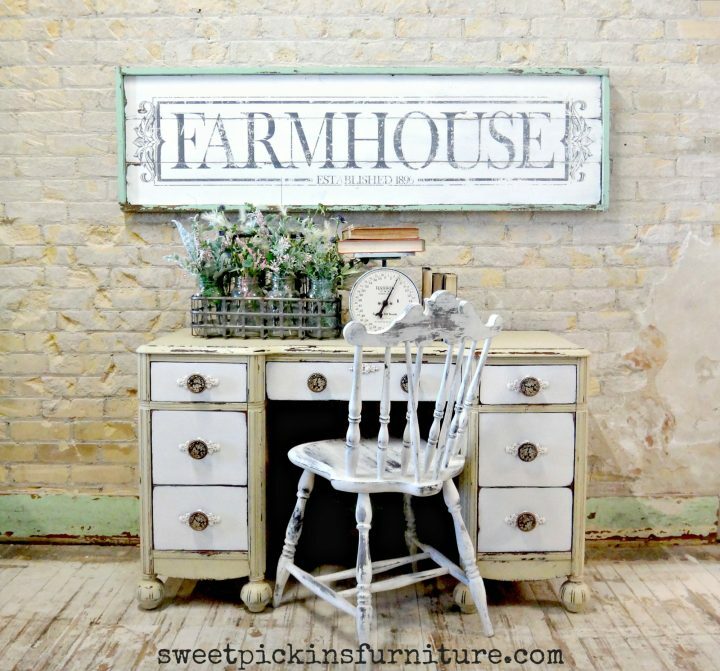 This is such a unique and fun Farmhouse Piece…how perfect is that lug wrench? Making Manzanita will show you how the whole sign comes together in no time. 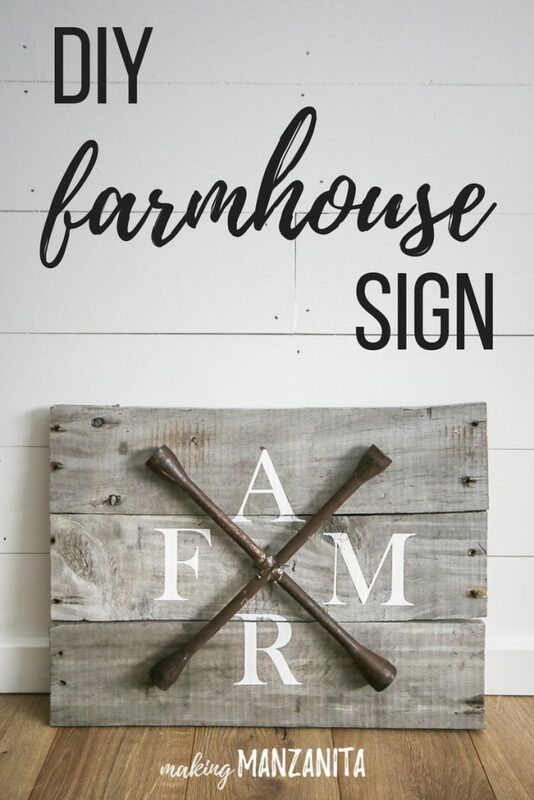 How much do you love this weather Farmhouse Sign? It’s spectacular…I especially love the thin weathered color frame touch! Come and see how this baby can be yours in no time over at Sweet Pickins Furniture! This is on my TO DO LIST! 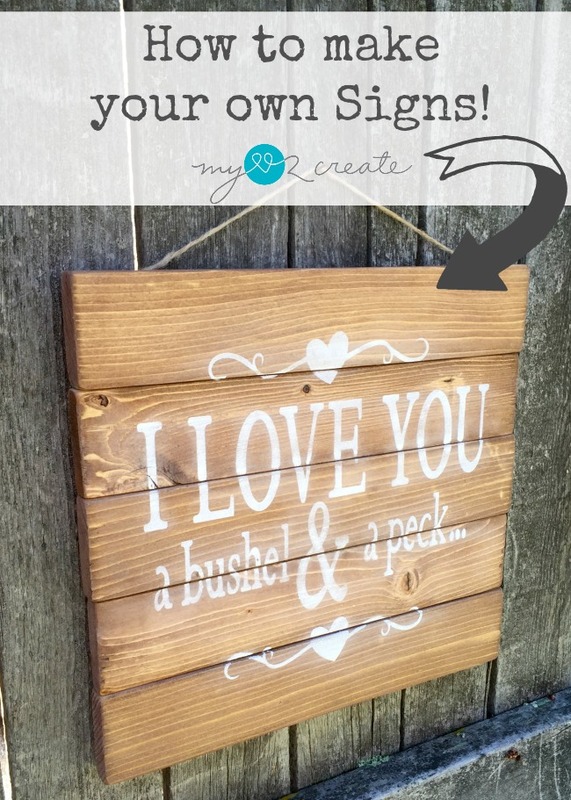 All you need is some Scrap Wood and Paint and this adorable little sign can be yours in a snap. What a great way to show someone you love that you would do it all over again! Check this out over at DreamDesignDIY! 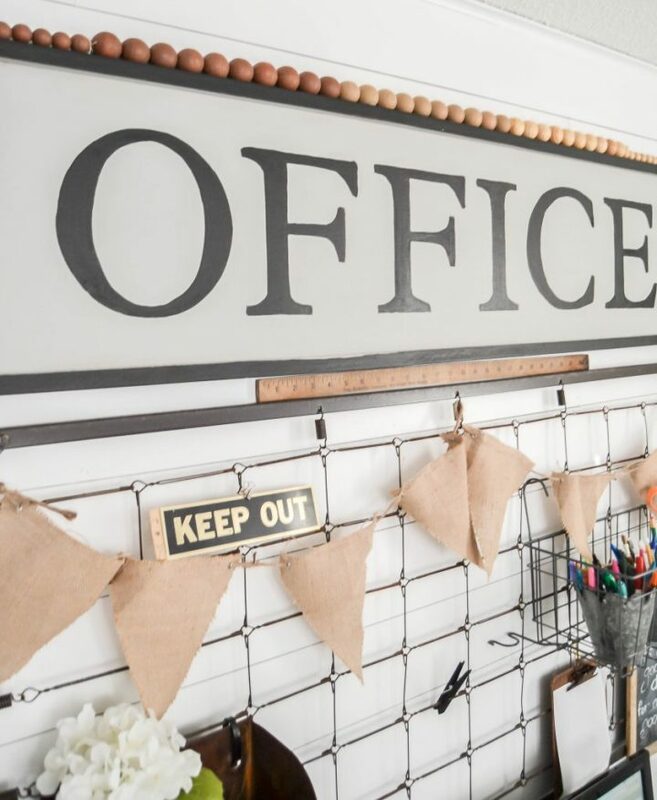 This great Contemporary Farmhouse Office Sign would make your space come alive for sure! Love it how My Creative Days has it above a great grid filled with all kinds of supplies and pretties. Get the DIY and be Inspired! I really, really like the lug nut wrench sign! So creative! I want to make one myself now. All the others are amazing as well though, I am definitely pinning this list to come back to. Hi there Marissa! I love that one too. Sooooo clever! Now you need a lug nut wrench…do you think hubby would miss his??? lol!!! Sending hugs and wishes for a picture perfect day!